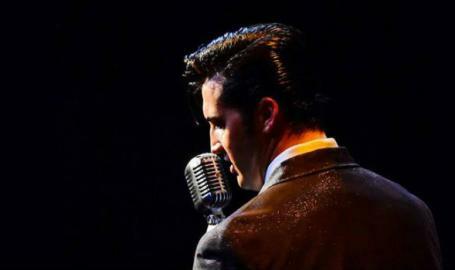 The electrifying Brandon Bennett (Chicago: Million Dollar Quartet) does the impossible, delivering a spine-tingling Elvis tribute that is fresh, powerful, and right on time. With his pure-bred southern charm, powerful voice, and scandalous moves Bennett was named the “Ultimate Elvis Tribute Artist” by Elvis Presley Enterprises at Graceland. His must-see show traverses Elvis’ career: from the Rock n’ Roll nativity of the 50s, to the iconic comeback television concert of the 60s, to the legendary lounge acts of the 70s. All-time great hits include “Blue Suede Shoes,” “Can’t Help Falling In Love,” “Suspicious Minds,” and many more.